The two were seen as "the Finnish Beckhams', lived together on a luxury estate in Switzerland. Twelve years they were together, eight of them married. No wonder, makes the separation of Kimi Raikkonen, 33, and his wife Jenni Dahlman, 31, an uproar in Finland. known since last week, was that they want a divorce, the former couple dominated the headlines. A magazine devoted to the Love For even 47 pages. The two had performed a marriage in two worlds, the media speculate on the separation principle. While he had gone because of the Formula 1 in the world, they have spent their time on rather jumping competitions. However, that was only half the story. There is also a new man in Jenni Dahl's life. What was whispered in the equestrian scene for some time, is now namely official: RÃ¤ikkÃ¶nen's estranged wife has been in the Swiss Equestrian Olympic champion Steve Guerdat, 30, ! love "Yes, they are a couple," confirms Willi Melliger, Reiter the legendary Calvaro, opposite the Â«Swiss magazine". "The two are a perfect match." Jumping-mate Pius Schwizer says: " The whole riding scene would know. And is thrilled about the beautiful message! " Guerdat itself does not deny the relationship, but they will not confirm. "About my love life, I'm not talking in public. That is and will remain a private matter. " Jenni Dahlman with Guerdat shares a passion for horses. For decades it has inspired show jumper and was once trained by the famous Swiss rider Beat Mandli. you owns several horses, three of which she has set to Guerdats RÃ¼tihof Herrliberg ZH. the beautiful Finn is also successful for years worked as a model. In 2000, she placed second in the Miss Finland and Queen-of-the Year's-election in 2001, she was crowned Miss Scandinavia. Didn't Jenni (and supposedly Kimi too) congratulated his "good friend" Steve G. when he won gold at the Olimpics? Makes me want to . Didn't Kimi pay for Jenni to be able to compete in Equestrian sport? And this is how she re pays him?! F1 World Champion Kimi RÃ¤ikkÃ¶nen and his wife Jenni Dahlman-RÃ¤ikkÃ¶nen sent the warmest congratulations to London to the fresh winner of Olympics. The Swiss Steve Guerdat won - with his horse Nino des Buissonnets - the gold medal in show jumping at London Olympics. According to the Swiss Blick magazine, since 2007, Guerdat has also been the riding coach of Jenni Dahlman-RÃ¤ikkÃ¶nen, wife of Kimi RÃ¤ikkÃ¶nen. Guerdat got warm congratulations also from the F1-star who is resident in Switzerland. - I know what it feels like to win something big, RÃ¤ikkÃ¶nen, who conquered the Formula One World Championship with Ferrari in 2007, said to the newspaper. - I congratulate him warmly, and I wish him all the best - especially big parties. Jenni Dahlman-RÃ¤ikkÃ¶nen is proud to be trained by the Olympic Champion. - I'm so glad that I can practice with him. 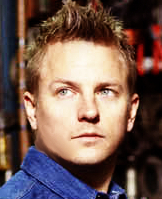 He makes a lot of work and has really earned the Olympic gold, Dahlman-RÃ¤ikkÃ¶nen said to Blick. Guerdat, 30, returned to Switzerland on Thursday and at the airport received, of course, the hero's welcome. So far, Switzerland has achieved at the Games two gold medals and one silver. In addition to Guerdat, the Olympic victory has been reached by Nicola Spirig in women's triathlon. I'm not a lawyer (maybe V can help).. But I think she will get significantly less money by allowing her new relationship to come out in public in the midst of still being married to Kimi..